Announcing the 2012 ‘Unruly’ Webutante Ball in New York City — Tickets now on sale! It’s that time of the year! For all the geeks, startup enthusiasts and media elite in New York City, it’s time to burn the candles at both ends and celebrate all that is good and holy about the Internet. Internet Week NY kicks off on May 14th with a week long program of speakers, panels and cocktail parties, culminating in the 16th annual Webby Awards, which honors websites, interactive advertising, online film and video and mobile apps. For the geekiest elite, one particular night marks the raison d’être of the week-long celebration. Founded by Gawker TV head turned Thrillist managing editor, Richard Blakeley, The Webutante Ball, now in its 4th year, has gained national attention for its superstar guest list, including founders and CEOs of the trendiest New York tech companies, a slew of hotshot venture capitalists, television personalities and Manhattan’s media moguls (not to mention every hipster reporter from Brooklyn). If that sounds like a load of hype, let me inform you that past attendees have included former Webutante Ball Master of Ceremonies, Dennis Crowley (CEO of Foursquare) as well as Gary Vaynerchuk (Founder of Vayner Media), David Karp (Founder of Tumblr), Nick Denton (Founder of Gawker), and the best of brightest personalities from The New York Times, Google, GroupMe, YouTube, 30 Rock, SNL, CollegeHumor, Buddy Media, Digg, Wired, SeamlessWeb, Airbnb and Thrillist. It’s a see and be seen kinda scene. The Webutante Ball is like the prom that you never had in high school because you were too busy playing The Sims to get a date. Now, your skin has cleared, you’ve got a rocking career and both babes and investors are banging down your door. 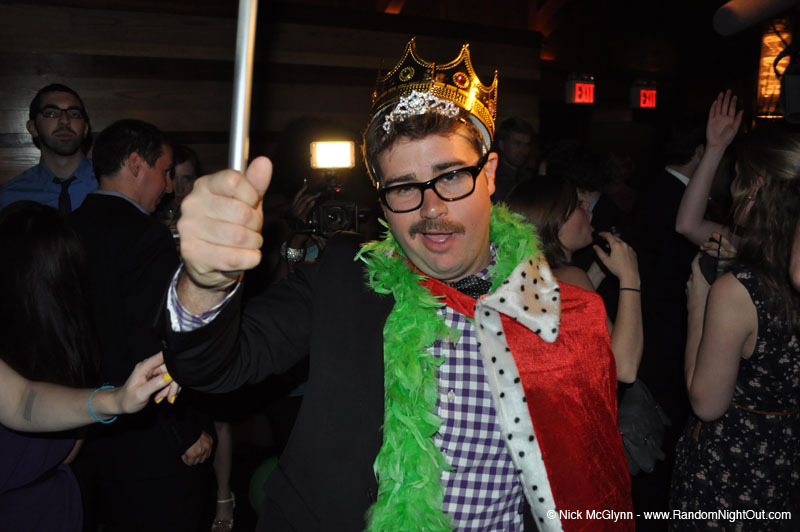 Expect an open bar, photo booths and DJ sets, and even a king and queen to be crowned! Previous kings and queens included social media anti-guru Alex Blagg, College Humor’s Amir Blumenfeld and SNL’s Sarah Schneider. For 3 sad seasons with legitimate reasons (travel, boyfriend’s birthday and Les Claypool concert), I’ve personally been unable to attend the event, which is why I’m triply excited to say that this year’s event will be brought to you in partnership with The Next Web and Unruly Media with beverages provided by Brugal Rum, The Macallan and Tiger Beer. The TNW crew will be there in full form, prom dresses (mine is purple and from the 80s! ), neck ties, feather boas and possibly glow sticks for good measure. Find us on the red carpet for an interview. The event takes place Wednesday, May 16th from 8pm to midnight at Marquee in Chelsea. Tickets start at $40 (Seed round!) and go up to $70 (IPO round!) as time passes. The event sells out in a matter of days so get your tickets below! ➤ Buy tickets here or win them on our Facebook giveaway here!